Use this template when requesting a reference for a new employee from their former employers to check the candidate's qualifications and past behavior. 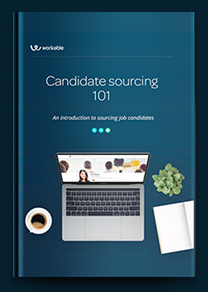 If you’re thinking of requesting a reference for a potential employee, you’re probably in the final stages of your hiring process – so, well done! Your finalist candidate may have provided you with a list of references or you could have done some research on your own to find former employers. Subject line: Could you provide a reference for [Candidate_name]? My name is [your name] and I work for [your company name]. We’re in the process of hiring for a [job title] and one of your former colleagues, [Candidate_name], has made the final cut. Before we make an official offer, I’d like some more information to ensure we’re making the right choice. I’m reaching out to you because [Candidate_name pointed to you as a potential reference/ mentioned you were her manager for several years/ etc.] It’d be very useful if you could tell me a bit about your overall experience working with [Candidate_name] and whether you’d recommend [him/her]. Could I call you for a brief discussion today or tomorrow? Please let me know if the number [Candidate_name] provided is accurate: [+00100000000]. If you’d rather send me information via email, feel free to do so. Of course, our communication is confidential. When requesting a reference for a new employee via phone, ask a few targeted questions to get a well-rounded view of their past work and behavior. Check out our list of reference check questions. Also, check out our employee reference request template that helps you send an email requesting references from a candidate more efficiently.